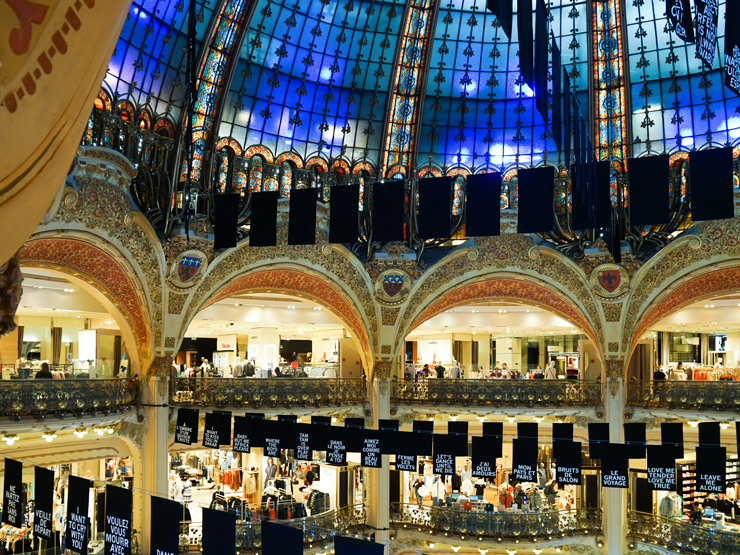 Galeries Lafayette is much more than a place to go shopping, it is an experience. The one of a kind architecture will have you amazed for days. This is the case regardless if you’re a traveler from abroad or a native Parisian. Every time I go shopping here I am wowed by the new brands they’ve added to their wonderful collection. Galeries Lafayette carries brands from all over the world and provides for a wide range of budgets. 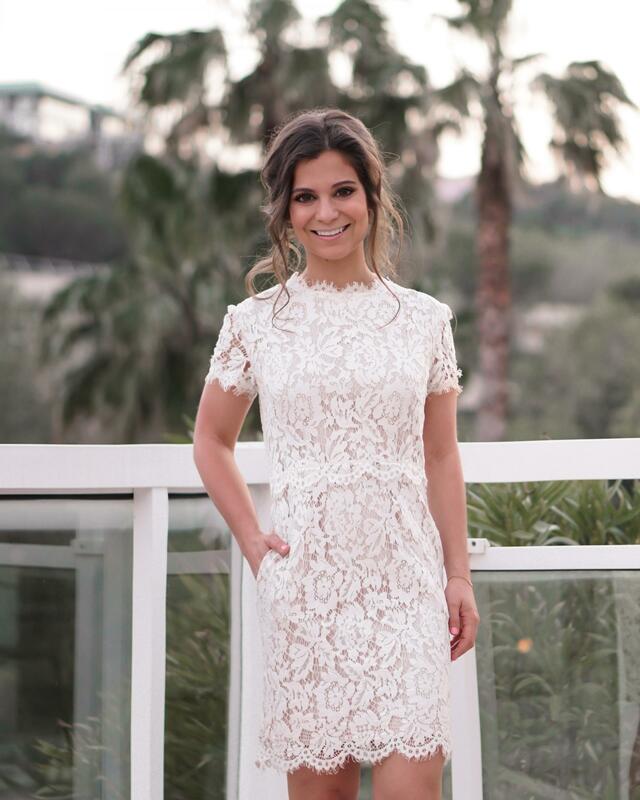 I love how the mix together classic, timeless designers with new talent that are making big impressions. 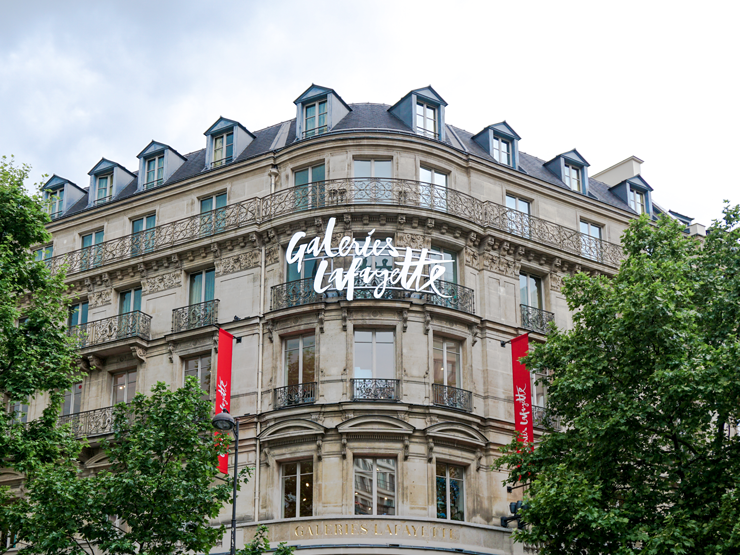 Galeries Lafayette is the ultimate place to shop in Paris. I cannot tell you how much I adore how Galeries Lafayette is set up. The open space, the gorgeous architecture, and of course the massive shoe collection are all part of the experience. 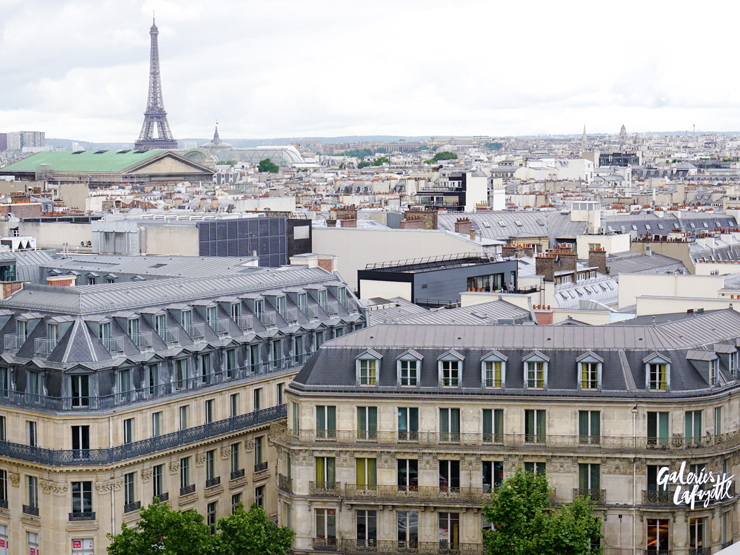 I always finish a trip with a trip to the rooftop with an incredible view of Paris. 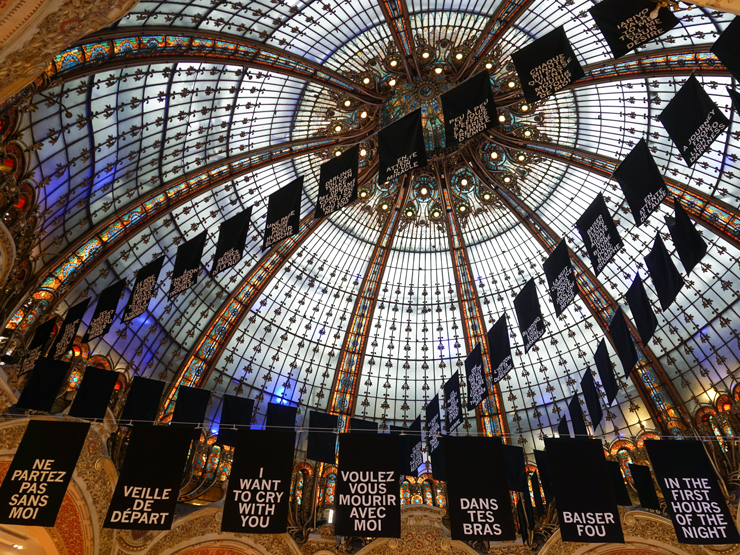 Galeries Lafayette’s Parisian VIP shopping experience is new this year, just launched a few weeks ago! You may be wondering what exactly a Parisian VIP shopping experience is. Listed below are the details of what is included. Whether you live in Paris or just visiting, I highly recommend the VIP Parisian experience. Having to not worry about the tax back process and ensuring your purchases make it back to the hotel safely are very beneficial. Plus the pastries and the exclusive lounge are a very nice touch to a shopping event! *Please note the package is only for the 5th floor lounge, and prices are per person.